The lemming men of Yullia are rushing headlong towards the cliffs of destiny, and they intend to take the British Space Empire with them. When moral fibre clashes with lemming spirit, only one thing is certain – surrender is no longer an option. In the back-streets of Ravnavar, greatest planet of the Space Empire, revolution stirs. Someone will have to go deep undercover, take on the robot underworld and reveal what lies behind the mysterious Popular Front. Worst of all, Major Wainscott – commando and nudist – has gone renegade in the most dangerous jungle in the galaxy. Someone will have to travel upriver, terminate Wainscott’s command and make him put some trousers on. That someone is Isambard Smith. Once more, Smith and his crew must leap into action, civilise the galaxy and force legions of angry rodents to stop their nonsense at once. 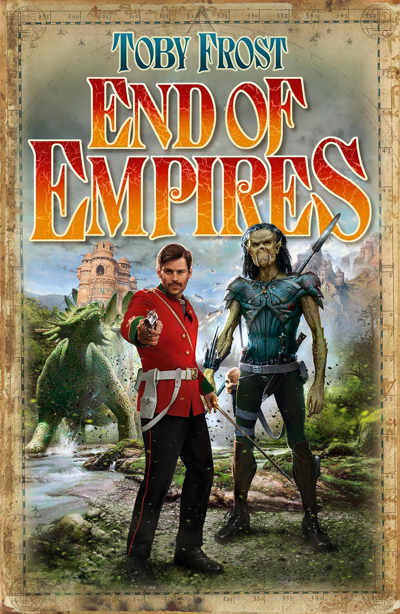 Smith is destined to topple a mighty empire. The only question is – whose empire will it be?